If you are having trouble remembering what your medications are for, or how to take them properly, turn to our pharmacists at Pellow Pharmasave in Walkerton, ON. We will provide you with a one-on-one consultation and review all of your medications. Count on us to help you have a better understanding of the medicines you are taking. We will also let you know how to maximize the benefits you are receiving from them. After the consultation, we will provide you with a comprehensive medication chart and list of medications. These will include your prescription medications, vitamins, and over-the-counter medications. Make sure your medication list is updated at all times. This is important for when you have a planned or unplanned hospital admission. Also, your family should know where this list is in case you cannot convey this information yourself. Our MedsCheck service is paid for by the government and is available on an annual basis. To schedule your consultation, contact our pharmacy today and speak with one of our staff members. Being diagnosed with a health condition can leave you and your family feeling overwhelmed and scared. We encourage you to learn as much as possible about your condition so you can manage it properly. 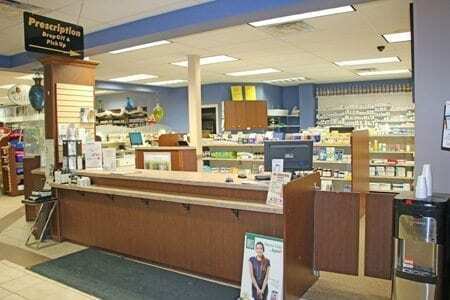 Our pharmacy has a variety of resources available to provide education on different health conditions. You are interested in bioidentical hormone replacement therapy. 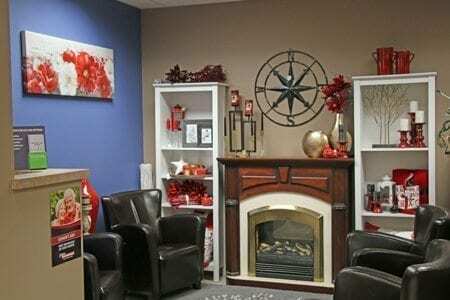 You have sensitivity to a colouring agent or filler in a commercially prepared medication. You or your pet requires a strength of medication that is not readily available. Keeping track of multiple medications can be overwhelming and time-consuming. Leave the work to us by getting your medications weekly in an easy-to-use compliance pack. Different styles are available. This service allows you to take your medications properly and get the most benefit from them. Weekly delivery of your compliance pack is available free of charge. If you are going on a vacation, we can create compliance packs that you can take on your trip. Please talk to one of our pharmacy team members today if you are interested. There are certain vaccines that still require a prescription. In such cases, our trained pharmacists will provide the vaccination only when you bring us your prescription. To learn about the fee for this service, contact us today. Our pharmacists can help determine the recommended vaccinations and oral medications (i.e., antimalarial medication) that you should get before going to your destination. We will also assist you in preparing your travel kit. We know it is not always easy to remember what medications you are taking. This can be even more difficult if you become ill and need medical attention. For this reason, we provide medication wallet cards. We will create an up-to-date list of your medications in a convenient, wallet-sized card. Carry it with you at all times so that caregivers or other health care professionals can be informed of your medication use. Take it with you to your next doctor’s appointment to ensure all of your medications are accounted for when you get your medications renewed. Contact us to ask for your medication wallet card today. Make sure to get it updated if your medications change. Tell your doctor and pharmacist about all of your medications, including over-the-counter and herbal medications. Always carry a wallet card that lists all of your medications and health conditions. 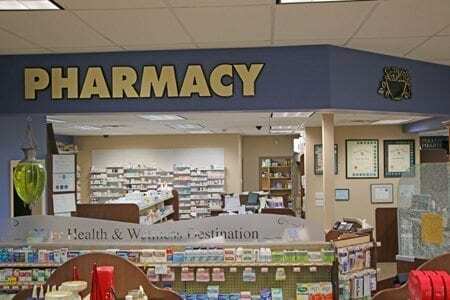 Go to the same pharmacy for all of your health and medication needs. Tell a pharmacy team member if you get a prescription filled at another pharmacy. Check with our pharmacist before you take any over-the-counter medications. Unless you are using a pillbox, keep your medications in the original bottle. Bring expired medications to us for safe disposal. Don’t stop taking your medications without speaking to you physician or pharmacist first. Did you know that 9 out of 10 Canadians will develop high blood pressure in their lifetime? High blood pressure, also called hypertension, can cause strokes, heart attacks, heart failure, and kidney failure. High blood pressure often has no signs or symptoms, which is why it is called the “silent killer.” When it is detected early, you can get the treatment necessary to reduce your risks. Our pharmacy provides free blood pressure monitoring, so come in today to check yours. We also sell a variety of home blood pressure monitors. We will provide you with a blood pressure card that records your results, and you can go online to print these results before your appointment. If you do not have a computer, we can print it for you. What should be my blood pressure? “Over the Counter” Does Not Equal Safe! There is often a false belief that non-prescription medications are safe to use. All medications, including herbals, can actually be dangerous for people who have certain health conditions or are taking other medications. 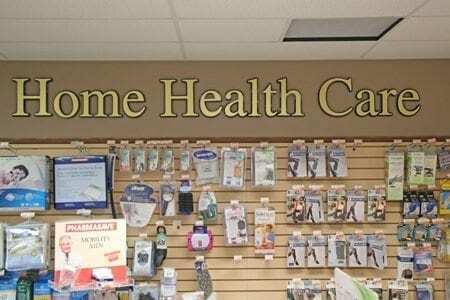 Various home health care products are available for sale and for rent at Pellow Pharmasave and Lucknow Pharmasave. Visit us, and we will help you find the product that meets your needs. Below are some of the products and services that we provide. If we do not have what you are looking for, let us know, and we will place a special order. Let our staff measure and fit you with the right stockings. Our compression stockings and diabetic socks come in several different styles and colours. Do you feel unsure about your balance and stability when you are walking? We offer activator walking poles to help you feel secure, improve your balance and posture, and enhance your overall health. These poles are used by many health care professionals, including physiotherapists, occupational therapists, chiropractors, and fitness specialists. If you have questions and concerns, reach out to us by sending an email or calling our pharmacy at 519-881-0151.